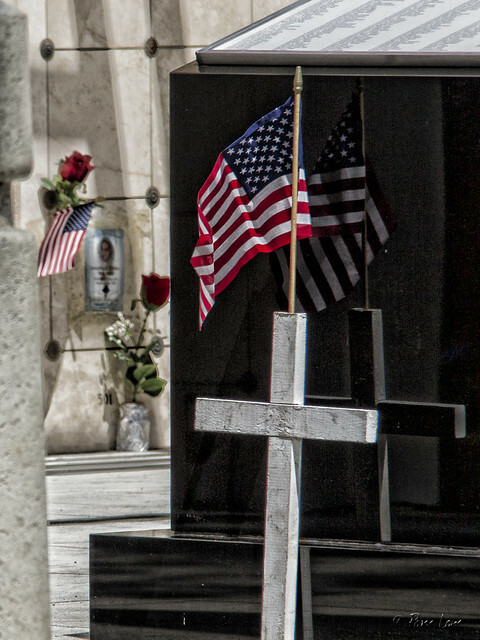 A couple of years ago, I saw an article about a Memorial Day tribute at the Downey Cemetery. I thought, aha! 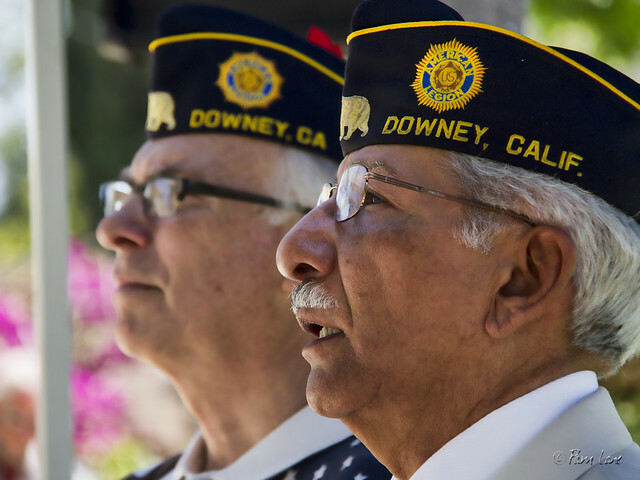 a good photo op for Downey Daily Photos. Two years later, the annual Memorial Day Tribute has become a regular and meaningful part of my Memorial Day traditions. Music is just one part of the Tribute ceremony. From the moving words of "America the Beautiful" (above, Jim Higuera, Commander of the American Legion Post 270, is mouthing the words along with singer Sheila Jacobs) to the haunting melody of "Taps," the music reminds us of those who have given their lives to protect our freedoms.